Fall has arrived and this is at Chair factory Falls in Painesville, Ohio! Hope you all are doing well! Beautiful toadstool find and capture. Beautiful colors and shapes and patterns. One might call this a riot of color! 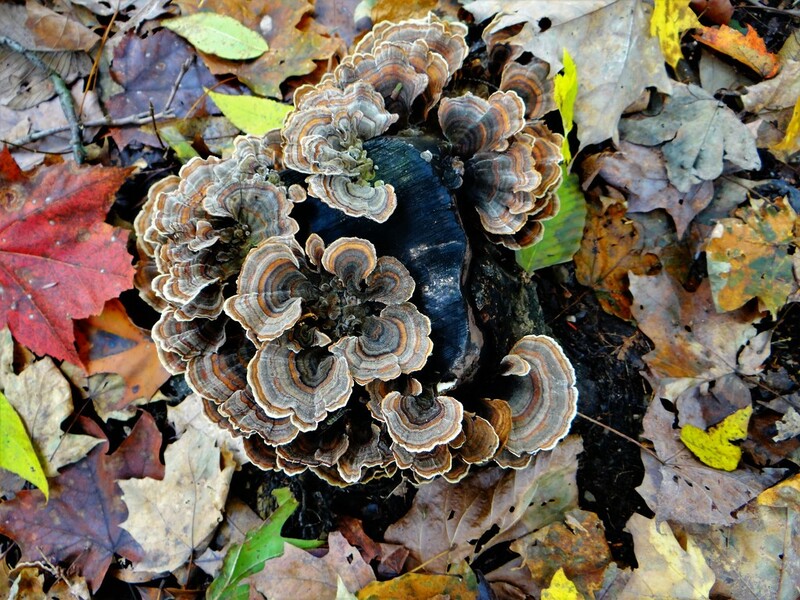 It's spectacular and that fungus is about as pretty as it gets! A fabulous shot with wonderful pattern, tones and textures, fav! You made this look beautiful! So colourful. And the fungi are beautiful.